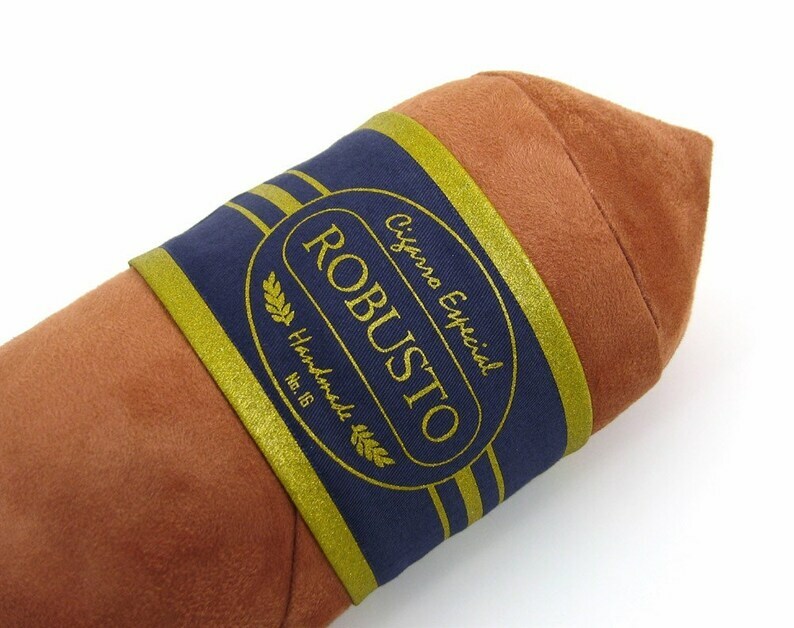 These Cigar shaped bolster pillows are the perfect addition to your smoke room, library, or leather trimmed office. Constructed of luxurious micro-suede material and sewn with a swirling seam. They look just like the real thing. Super cute accent pillows! Wonderful seller.